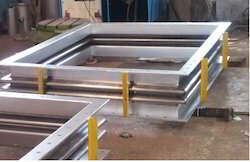 We are a leading Manufacturer of rectangular expansion joint, square bellows and rectangular bellows from Vadodara, India. Catering to the broad demands of various industries, we emerge as a prime manufacturer, exporter and supplier of Rectangular Bellow. The offered bellow is manufactured under the stern supervision of our deft technocrats using latest techniques and optimum quality raw materials. 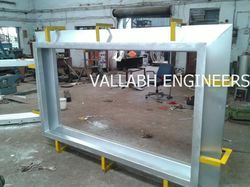 we are offering this Rectangular Bellow in several specifications as per client’s specifications at industry leading prices. We are the prominent preparer and of Square Bellow, these are prepared from high-grade quality material. These are duly tested by our experts on various quality parameter. The entire range is tested for its quality and flawlessness, before handing over to the customers. We are the prominent manufacturer and supplier of Rectangular Bellow or Bellows Duct, these are manufactured from high grade quality material.